If you’ve been following the World Title race, you’re probably aware that Gabriel Medina could have won the whole thing in Portugal. For a bit there, it certainly looked like he was on track—that classic fire-in-the-eyes look that Medina gets was written all over his face. If Gabriel Medina finishes 1st or 2nd at Pipe he wins the World Title. 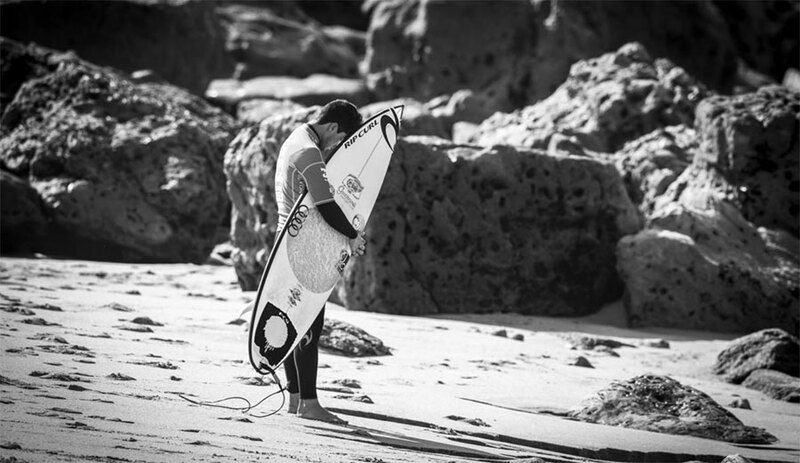 If Gabriel Medina finishes 3rd, Julian Wilson & Filipe Toledo will need a 1st. If Gabriel Medina finishes 5th-25th Julian Wilson & Filipe Toledo will need a 2nd or 1st at Pipe. The waiting period for the Billabong Pipe Masters begins on December 8 and runs through until December 20.